When you’re on vacation with your family, you plan activities that the whole family with enjoy. And it should be no different when you’re on vacation with your family dog. 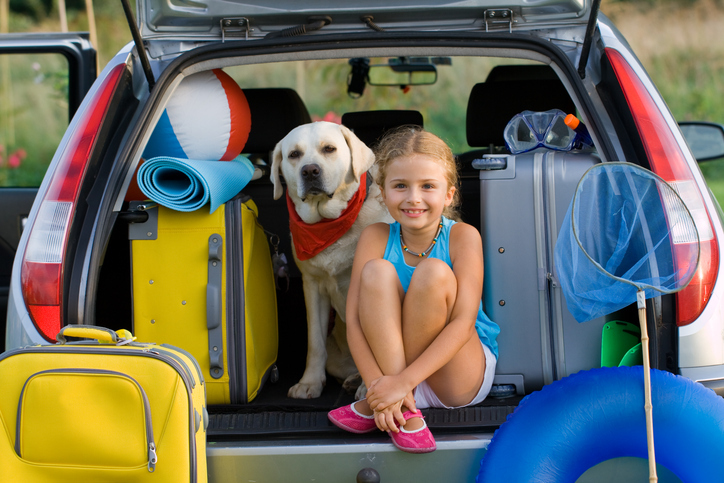 Even if it’s too cold to pack your own swimming costume, your dog will love a visit to the beach. While many beaches don’t allow dogs at all, or require dogs to remain on a leash, there’s many beaches that allow dogs to run around off leash. And if you’re traveling outside of peak summer season, you’re more likely to find beaches that allow dogs. (Often dogs are banned from many beaches during the busy summer months.) Before heading to your destination, run a quick Google search or find a local Facebook group to ask. Just remember to clean up after your dog and follow any other rules. One of the best ways to enjoy the outdoors is to grab your hiking boots and hit a local trail. Most destinations have some hiking opportunities nearby, whether it’s the mountains, the forest or even within the city limits. While not all trails allow dogs, many dog-friendly trails exist, although often dogs are required to be on a leash. Check out the local tourism, national park or national forest websites for suggestions. If you’re heading to a city, rather than spending all your time inside museums and galleries, also hit the streets to experience the local art scene in a different way, through its street art. A growing number of cities have a vibrant street art scene, and there are no restrictions on bringing along your dog. Search online to find a local map of street art sites, or look for street art hotspots on Instagram. While traditional museums are indoor affairs where dogs aren’t welcome, there are some great museums scattered around that are at least partially outdoors. Dogs are often welcome to join you, although you might have to skip heading inside some buildings (or take turns if you’re not traveling alone). If there’s no information online on whether dogs are allowed and you think they may be, feel free to send an email. Alternatively, check out the thousands of ideas at BringFido.com. Shandos Cleaver is the founder of Travelnuity, a travel blog focused on dog-friendly travel around the world. 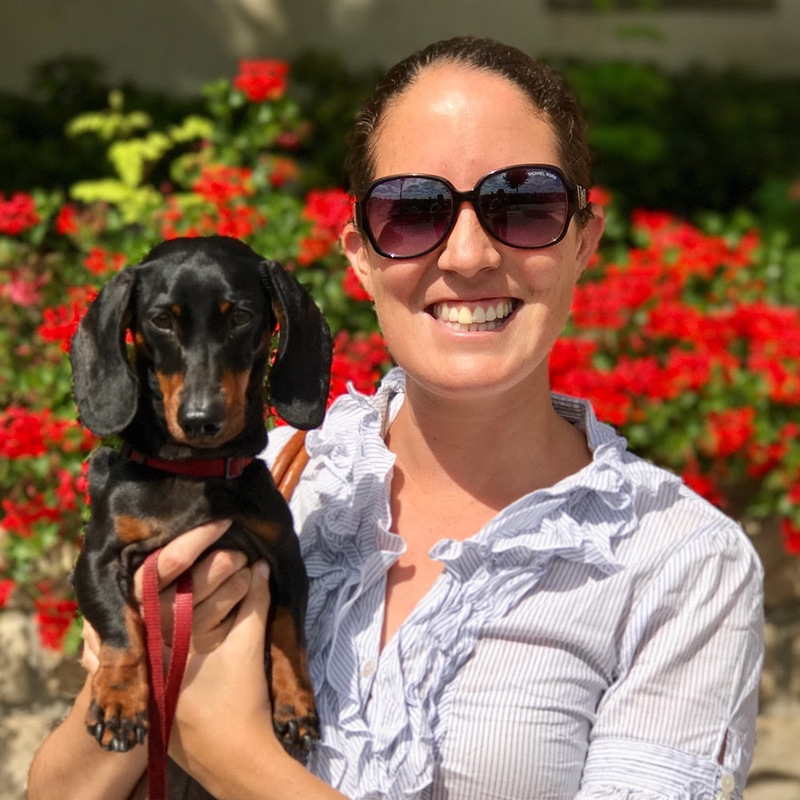 Currently traveling around Europe with her Miniature Dachshund, Schnitzel, Shandos realised there was a shortage of information about traveling with a dog. Travelnuity aims to provide hands-on information to other dog-loving travelers, whether about sight-seeing, transport options or where to stay, plus inspire more people to travel with their dogs.